A fundamental understanding of the system is imperative to any successful troubleshooting endeavor. This is especially true of ELISA troubleshooting. The assay is a multi step procedure in which a antibody-antigen detection system is built from the bottom up. The assay always starts with the ELISA plate. These are typically 96-well polystyrene plates with a special biochemical coating on the bottom of each well. A standard 96-well plate is not going to be sufficient. At the very least, a hydrophilic protein-binding coating is needed for antibodies and proteins. A hydrophobic coating is more appropriate for lipoproteins and lipids. It is possible to purchase plates with more advanced surfaces such as biotin-streptavidin, protein A/G, His tagged, or GST-binding plates for more specific capture of antibodies or antigens. 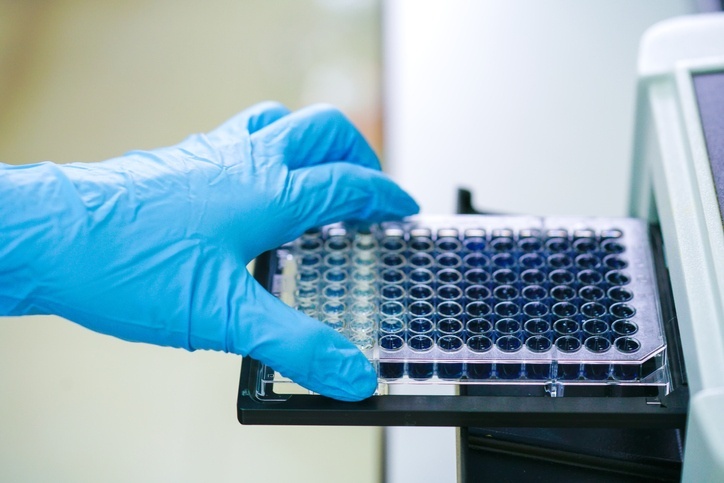 Additionally, it is also possible to purchase ELISA plates that have the capture antibody or antigen pre-bound to the well surfaces of the plate. After choosing an optimal plate surface for your ELISA it is time to build up the assay. If your target molecule is a specific antigen, then a sandwich ELISA might be a good choice. In this assay the target antibody is attached to the surface of the plate, the target antigen binds to it, and a tagged secondary antibody is applied on top of it. Purchase an ELISA plate that is pre-bound with capture antibody or has a hydrophilic surface for efficient adsorption of capture antibody. Block the unbound surfaces of the plate with a blocking molecule or serum. The standard curve solution consists of known concentrations of target antigen. The unknown sample concentrations will be compared to the standard curve in order to obtain quantitative information about the samples. Wash the plate to remove any unbound antigen. Incubate the wells with a label-bound secondary antibody. The secondary antibody is the same as the capture antibody except that it is conjugated to a flurophore or enzyme. Wash the plate to remove unbound secondary antibody. If using a colorimetric enzymatic label method, apply substrate and incubate for the necessary time to produce a visible product. Image using a plate reader. Compare samples to standard curve and obtain quantitative intensity values for each well. Now that a general understanding of the ELISA system is established we can dig into the problems that might occur during the assay. As a general rule, always check reagents to ensure that they are not expired. Many commercial kits will come with blocking and washing buffers. Be sure to store them as recommended and to use the amounts indicated by the kit protocol. When making homemade buffers be sure to record the date and keep track of how long they are used for and check for proper storage conditions. Ensure that you are using an ELISA coated plate with the appropriate coating for your capture molecules to attach to. Ensure that you are using an optimal concentration of blocking molecules. Double check the concentrations of antigen in each well of the standard curve. Are your pipettes properly calibrated?